Flight attendants at Atlantic Southeast Airlines (ASA) have a new contract. The Association of Flight Attendants (AFA), the union representing ASA's flight attendants, announced yesterday that the flight attendants had overwhelmingly ratified a three year agreement. According to the union, the new contract contains economic gains, as well as significant work rule improvements that will improve the lives of the hardworking flight attendants at ASA. In addition, the new contract will serve as a good building block for the next round of contract negotiations that will begin in three years. 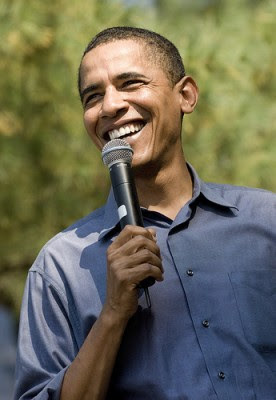 The Association of Flight Attendants (AFA), the largest flight attendant union in the United States, recently announced their support for Sen. Barack Obama in his bid to become President of the United States. Over 200 flight attendant leaders voted by acclamation to endorse Sen. Obama during AFA-CWA's 35th annual meeting in Milwaukee, Wisconsin, according to a news release issued by the AFA. The Board's resolution stated that, "In the coming years, many decisions that could reshape the face of aviation will be made while the chorus for unfettered global aviation ownership and service grows louder. Also, it is crucial that policymakers in Washington realize that the U.S. aviation system since deregulation has failed airline employees, communities and consumers. We are at a turning point and need a President who recognizes this struggle." AFA-CWA remains committed to supporting political candidates of all parties. The only criteria is that the candidate support issues important to the flight attendant profession and the improvement of working women's and men's lives. "While AFA-CWA strongly supports both Democrats and Republicans for offices that have an impact on the flight attendant profession, the record of the two candidates for President, on issues of importance to our industry and our profession, the choice is clear," added AFA-CWA. "We must choose the future for our profession that continues to value our work as front line responders and safety professionals in a strong and vibrant U.S. aviation system." The AFA represents more than 55,000 flight attendants at 20 airlines. AFA is part of the 700,000-member strong Communications Workers of America (CWA), AFL-CIO. Late last month I reported that Midwest Airlines not only intends to reduce its flight attendant work force by more than half, but is asking those who remain on the job to accept massive cuts in pay and benefits. These proposals have infuriated the flight attendants at Midwest Airlines, and rightly so, since they already earn 19 percent less than flight attendants at other low fare carriers. Last evening the flight attendants publicly protested these draconian reductions in pay, but it was not just Midwest Airlines flight attendants who participated in the event. Hundreds of flight attendants from 20 carriers joined in the protest as a show of solidarity with the flight attendants of Midwest Airlines. The flight attendants -- all members of the Association of Flight Attendants (AFA), the union that represents Midwest Airlines flight attendants -- formed up at the Hyatt Regency Milwaukee and held a candlelight march to the Midwest Center. There they heard remarks made by AFA-CWA International President Patricia Friend, AFA-CWA Midwest President Toni Higgins and a guest from the Milwaukee Central Labor Council. In June, in order to offset rising fuel prices and a failed business plan, Midwest Airlines management hired an outside consulting firm, the Seabury Group, to present the flight attendants with a proposal that included furloughing half the work force, over 55 percent pay cuts for those remaining and additional slashes to current work rules. AFA-CWA was given the proposal without any supporting information or documentation and told that, if not accepted, management would have no choice but to file for bankruptcy. After repeated requests by AFA-CWA, management finally supplied background on the proposal, however the information provided was inaccurate and incomplete. According to the Seabury Group's plan, the proposed Midwest flight attendant pay scale was compiled by taking the average pay rate of flight attendants from smaller carriers and reducing the average by 15 percent. However, as management continued to insist that the concessions were "fair and equitable" for all work groups, calculations for management and non-union employee concessions were based on average salaries at larger, more profitable mainline carriers such as Southwest and Delta. AFA-CWA has notified management of its intent to negotiate, but not under the current proposed terms. In 2003, Midwest flight attendants took concessions to help the company avoid bankruptcy. Shortly after the concessionary contract was signed, management rewarded themselves with pay restoration and increases, while flight attendants and pilots continued to work under the reduced wages and work rules. Currently, Midwest Airlines flight attendants earn between $17,000 and $39,000 annually. Should the airline management's proposed pay cuts be implemented, the flight attendants would earn only $13,000 to $25,000 per year. At it annual shareholder meeting earlier this year, American Airlines announced plans to cut capacity in the coming months, and acknowledged that the capacity reduction would result in the loss of thousands of jobs across every work group. This week, the Association of Professional Flight Attendants (APFA), the union representing American Airlines flight attendants, was notified of plans to cut 900 flight attendant jobs. According to the APFA, the letter to the union stated that the 900 most junior U.S. based flight attendants are subject to furlough effective August 31, 2008. Several measures intended to mitigate the impact of the work force reduction requirements have been negotiated between the APFA and American Airlines. The first of these measures is called the Voluntary Bridge to Retirement (a program similar to one offered by United Airlines to its senior flight attendants last month). Under the provisions of the American Airlines Voluntary Bridge to Retirement, the company will offer a severance payment of $15,000, plus medical and pass benefits to flight attendants who are at least 50 years of age who will have at least 15 years company seniority as of August 31, 2008. In addition, American Airlines will offer Overage Leaves of Absence and opportunities for Partnership Flying, a job sharing plan. A Hotline message on the APFA website about the work force reduction said that the one-time Voluntary Bridge to Retirement will be awarded first, followed by leaves at bases with an overage. Where overages then still exist, partnerships will be awarded. After these three voluntary provisions are exhausted, and should any overage still exist, the company will then determine how many flight attendants will need to be furloughed involuntarily in order to meet flight attendant work force reduction target of 900. According to the flight attendants' contract with American Airlines, “When there is a reduction in force, the Flight Attendant(s) with the least system seniority shall be laid off." Presumably the majority of those would be the former TWA flight attendants, who also were furloughed after the September 2001 terrorist attacks. American Airlines recalled 200 of those furloughed flight attendants in May of 2007, and another 460 in August of 2007. As of the end of June, there were still 1,192 American Airlines flight attendants on furlough from the earlier layoffs. This week's announcement of new furloughs surely comes as a blow to those who have been awaiting recall for years. Midwest Airlines is seeking to reduce its flight attendant work force by more than half, and also wants those remaining on the job to agree to massive cuts in pay and benefits. This week the Seabury Group, an outside consulting firm hired by Midwest Airlines, presented this potentially devastating plan to the Association of Flight Attendants (AFA), the union representing Midwest's flight attendants. The union called the proposed concessionary package "ludicrous." The plan proposes to cut 217 flight attendant positions, meaning over half of the Midwest Airlines flight attendants would lose their jobs. Those remaining would be asked to agree to hourly pay rate cuts ranging from 34 to 56 percent, plus other concessions that would reduce their income even further. The union leadership calls the proposed plan "ludicrous" because Midwest Airlines flight attendants already earn 19 percent less than flight attendants at other low cost carriers. The AFA points out that the proposed Seabury plan included no supporting evidence to indicate that Midwest Airlines flight attendants' pay is too high. "This proposal is insulting, irrational, and fails to be fair and equitable. Midwest flight attendants are currently working under concessions that were negotiated five years ago in order for management to have the resources they needed to return our airline to profitability. Since that time, management has failed to create a viable business plan. It should be their responsibility to carry the burden of restructuring, not the flight attendants'. "We have made repeated requests to review management and non-contract employee concessions, but have not received this information, which is particularly critical in light of what happened during our last round of concessions in 2003. Shortly after we took pay and work rule cuts, management gave themselves a pay increase and restored the concessions from all other non-union work groups." The union leader said, "As we wait and see what the future holds for Midwest Airlines, we will continue to do everything we can to protect the careers of Midwest flight attendants." Unite, the largest trade union within the Civil Air Transport Sector in the United Kingdom, has officially gained recognition as the collective bargaining unit for more than 200 cabin crew at the low fare airline Flyglobespan. In a statement released by Unite, national officer Brian Boyd described the deal as a 'breakthrough'. The union has been involved in a long campaign for recognition at Flyglobespan which has been resisted by the company for more than a year. The union submitted an application to the Central Arbitration Committee (CAC) in December of 2007 for recognition for collective bargaining at Flyglobespan. The CAC now has declared that the union should be recognized by the employer to conduct collective bargaining on behalf of all UK based permanent cabin crew including senior cabin crew at the following airports: Glasgow, Edinburgh, Durham Tees, Exeter, London Gatwick, Doncaster/Sheffield, Newcastle, Birmingham and Belfast. Flyglobespan is headquartered at Edinburgh. Mr. Boyd said, "This is a breakthrough for cabin crew employees at Flyglobespan. They have sought nothing more than the basic right to be heard in their workplace. They are a dedicated and professional group of workers, who have served passengers well in difficult circumstances. "They are now entitled to be rewarded for their efforts with improved terms and conditions of employment. We will now be entering into discussions with the company, with the intention of establishing a positive relationship, and one that acts on the concerns of Flyglobespan's cabin crew." Balloting for the election to certify the Association of Flight Attendants (AFA) as the collective bargaining unit representing Delta Air Lines flight attendants was completed today, May 28, 2008. The AFA reportedly won the "vast majority" of the votes cast, however only about 40% of those eligible to vote did so. Under the rules of the National Mediation Board (NMB), which supervised the election, a majority of eligible voters must cast ballots in order for the election outcome to be certified. Since that did not happen, the AFA cannot be certified as the union representative for Delta's flight attendants at this time. Management at Delta Air Lines openly opposed flight attendant unionization. The AFA has claimed that an aggressive voter suppression campaign by Delta management kept thousands from casting a vote. Tactics included the posting of signs in flight attendants' crew lounges (see photo) "encouraging them to rip up the voting information before even bothering to read about their rights." "For months, Delta management has touted its commitment to the democratic process, yet never let up on their intimidation and coercion of voters. Their empty rhetoric cannot conceal their interference. The conditions surrounding election were neither free nor fair, as required by NMB statutes. Now it is up to the National Mediation Board to defend the Delta flight attendants’ right to an election free of interference," said AFA International President Patricia Friend in a statement issued by AFA. Delta Air Lines has received notification from the National Mediation Board (NMB) that a decisive majority – more than 60 percent – of eligible flight attendants rejected representation by the Association of Flight Attendants/Communication Workers of America (AFA) in the representation election at Delta, and the airline will continue a direct relationship with its flight attendants. Joanne Smith, senior vice president – In-Flight Service and Global Product Development, added, “This decision was one of the biggest our flight attendants faced in their career at Delta and it arose during some challenging times in our industry. Through all of these distractions – soaring fuel costs, a softening economy and an unrelenting AFA campaign of scare tactics and inaccurate information – the professionalism of all of our flight attendants shone as they maintained an unwavering focus on safety and service. This comes as no surprise however, because that is the Delta Difference; it is what sets us apart from the rest of this industry. To protect our future, it is critical that we have safeguards to keep management from destroying our profession —- safeguards that are detailed in a legally binding contract. Delta flight attendants want to maintain the quality of middle-class jobs that have benefited the local Atlanta economy and communities across the country for decades. We want to have a say in building and growing the world's largest airline. What once was a "family style" environment at Delta is no more. This sad fact faces us each day. The new Delta is run by a group of executives who have only been around for nine months. People like former Northwest CEO Richard Anderson are making decisions that will affect the future of Delta flight attendants who have spent their lives building our company. 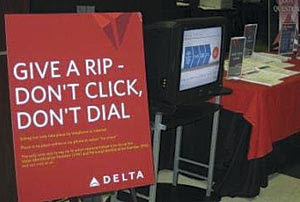 Our airline has evolved, and Delta flight attendants intend to do so as well. By becoming union members, we will actively defend our profession. We will protect our interests as we work alongside management in creating the world's largest airline. There is another chapter to this story that has yet been told: When the Delta - Northwest Airlines merger takes place another union certification election will be held, since Northwest's flight attendants already are represented by AFA. Under the rules of the NMB, when a non-union work group merges with a union group, if 35 percent of combined workforce has union representation or signs a union card, a union election will automatically be called. That vote is expected to occur in early 2009. Flight attendants at Delta Air Lines voted earlier this year to unionize. A majority of Delta flight attendants already have submitted signature cards to the National Mediation Board (NMB), indicating that they wanted to be represented by a formal collective bargaining unit, even though Delta management has openly opposed the move toward flight attendant unionization. Last week, Delta flight attendants began the next phase, casting their votes to decide whether the Association of Flight Attendants-CWA (AFA) will be certified as their collective bargaining representative. The voting process, carried out under the supervision of the NMB, will continue until May 28, 2008. According to the rules, a majority of the entire flight attendant workforce must cast a vote in order for the election to be valid. Anything less than this majority turnout will void the election entirely, even if the union gets a clear majority of the votes cast. Apparently the management of Delta Air Lines is persisting in its opposition to the union election, employing what AFA activists describe as "tactics of intimidation and interference, pushing flight attendants not to vote for the union." Earlier this week, a number of Delta flight attendants met with Congressional leaders to brief them on "Delta management’s aggressive voter suppression campaign during the current AFA-CWA representation election." Management’s anti-union voter suppression campaign gained the attention of Capitol Hill earlier this month, prior to the start of the vote. In the U.S. Senate, 26 Senators submitted a letter to Delta Air Lines executives urging them to “demonstrate a genuine commitment to cooperative labor relations” and to remain neutral in this election. Delta executives never responded to the Senators’ letter. At the very moment Anderson was testifying in a U.S. House hearing on Delta’s announced merger with Northwest Airlines, management’s latest anti-union, voter suppression packet – with letters and a DVD – was being mailed to all flight attendants’ homes. Delta CEO Richard Anderson testified in Congress last week that "management was supportive of the democratic process and would not engage in illegal interference." Not so, says Patricia Friend, AFA International President. “Their current actions to keep flight attendants from voting are anti-democratic and are a disgrace. Delta flight attendants have earned and deserve the right to have a voice in their future and a seat at the table,” said Ms. Friend. Delta currently is seeking approval for a planned merger with Northwest Airlines. It is worth pointing out that Northwest's flight attendants already are represented by AFA. Delta's flight attendants have never had union representation. American Airlines will provide pay protection to flight attendants who lost time as a direct result of flight cancellations during the recent grounding of the airline's MD80 fleet. According to an announcement posted on April 10, 2008 to the website of the Association of Professional Flight Attendants, the union representing American Airlines flight attendants, "This pay protection applies not only to monthly guarantee but also to those who have lost high-time hours as well as commuters who were unable to make their trips - as a result of the MD80 re-inspections - after having followed commuter policy guidelines." A separate agreement, also announced on April 10, 2008, provides American Airlines flight attendants with a mechanism to restore Personal Vacation Days (PVDs) that were voluntarily used to supplement pay following last month's MD80 cancellations. Flight attendants who used PVDs to protect loss of pay will have the option to make up time in order to restore the PVDs that were used. American Airlines also reached a similar agreement with its pilots regarding pay protection. American Airlines pilots are represented by the Allied Pilots Association. Up to now, Delta flight attendants have not been unionized. Although there has been growing dissatisfaction with pay and work rules among the rank and file, it seems that the tipping point came as Delta began engaging in merger talks with other carriers. Now a growing number of Delta's flight attendants are acknowledging the potential value of representation by a formal collective bargaining unit such as the AFA [the Association of Flight Attendants]. On February 14, 2008, a majority of Delta flight attendants did indeed submit signature cards to the National Mediation Board (NMB), formally requesting union representation. Yesterday, the NMB officially announced that the flight attendants' request for election of a union had been authorized. In its letter to Delta Air Lines and the Association of Flight Attendants (AFA), the NMB indicated that "the election will be conducted by Telephone Electronic Voting and Internet Voting." The Notice and Sample Instruction will be sent out on April 16, 2008. The Voting Instructions will be mailed to the employees on April 23, 2008. The voting period will be from 12:01 a.m., ET, April 23, 2008, through June 3, 2008. The tally will take place at the Board's offices on June 3, 2008, at 2 p.m. ET. “Delta flight attendants will make one of the most important decisions of their careers over the coming months as they choose between a direct relationship with Delta’s management team or the cost and risk of a third-party representative,” Smith said. “Our flight attendants have long been successful at speaking for themselves and we continually demonstrate our willingness to respond quickly and directly to their individual and collective feedback. I’m asking all of our flight attendants to make an educated choice, based on fact. “The facts are: Delta flight attendants have it better than what the Association of Flight Attendants’ has been able to deliver at other airlines, and those airlines’ contracts are not open to changes for several years to come – years in which Delta flight attendants will continue to enjoy higher rates of pay, a better profit sharing program and a better performance rewards program. “In contrast, the AFA’s track record at other network carriers is not a good one. The AFA has demonstrated that its members have not been protected from pay cuts, job loss, pension termination or any other changes affecting the airline industry. And flight attendants at those other airlines also must pay hundreds of dollars per year in union dues. “Delta has good momentum thanks to the hard work of all Delta people and we look forward to the ability to continue working on their behalf and responding to their feedback,” Smith continued. An Associated Press article about the upcoming union election, published on Forbes.com and elsewhere, quoted Corey Caldwell, an AFA-CWA spokeswoman, who said Smith's statement is "typical, anti-union rhetoric that companies use." "The truth is when there is a union on property, there's just as much communication with management as there was before," Caldwell said. "The only thing that changes is this time the flight attendants get to determine the issues and policies that affect them as a group instead of being dependent on the company to make decisions for them." For further insight about what rank-and-file Delta flight attendants are thinking about the unionization issue, visit the Delta Voices page of the website opened by AFA to support the campaign by Delta flight attendants for unionization. There, dozens of Delta flight attendants have come forward publicly to share with their flying partners their reasons for supporting the move to unionize. Should Delta's flight attendants succeed in their bid to unionize, they will be airline's the second major work group to have union representation. At the present time, only Delta's pilots are represented by a union; they are represented by the Air Line Pilots Association (ALPA). Flight attendant hiring freeze at United Airlines? Earlier this month when I was researching an article about the profit-sharing distribution to United Airlines flight attendants, I noticed that the carrier was continuing to hire new cabin crew. I mentioned it here, and posted a link to the flight attendant careers page on the airline's website. Then I began to hear a rumor that United had suspended recruitment of new flight attendants. The rumor caught me by surprise, so I decided to find out if it was true. I'm sorry to report that this is indeed the case, according to information published on the website run by the United Airlines Master Executive Council (MEC) of the Association of Flight Attendants (AFA), the union representing United's flight attendants. Undoubtedly, there will be an impact on our flying as a result of potential staffing decisions and which markets United may cut as a result of the downsizing of the fleet. At this time we can confirm that based upon our discussions with management there are no plans for a furlough as a result of today's announcement. United will implement a hiring freeze for the newest Members of our Flight Attendant community for classes that were originally scheduled to begin after March 31, 2008. There are no plans to release Flight Attendants who are currently in new hire training and we look forward to welcoming our newest flying partners on the line. I trust that Mr. Dawidowitch is in a position to know what he is talking about, so there you have it. Click here to read the letter in its entirety. This week, flight attendants at United Airlines flight are receiving profit-sharing payments related to the airline's 2007 performance. United's US-based flight attendants can expect to receive a profit-sharing payment of about $1,200, before withholdings, for every $30,000 of eligible earnings, according to a news release issued by the airline. This is the second year United provided profit sharing to its employees and the benefit is part of their union contracts. Under the terms of their union's contract, which was negotiated during the airline's bankruptcy, United's flight attendants receive their profit-sharing award in the form of a company contribution to their 401(k) accounts. United Airlines flight attendants are represented by the Association of Flight Attendants (AFA). By the way, United is continuing to recruit new flight attendants. Click here for more information on becoming a United Airlines flight attendant, and an online application. A new President has been elected by the Association of Professional Flight Attendants (APFA), the union representing flight attendants at American Airlines. Laura Glading who won the position of President after a run-off election. According to a notice posted on the APFA website, Ms. Glading received 6420 votes in the run-off election, while John Ward received 5363 votes. These two individuals had emerged as the leading candidates after a first-round election earlier this year. They will serve a four-year term, which begins on April 1 of this year. Congratulations to the newly elected National Officers of the APFA. Virgin Atlantic cabin crew plan two 48-hour strikes this month in a dispute over pay. The flight attendants, represented by the union called Unite, plan to carry out a work stoppage from 06:00AM January 9 through 06:00AM January 11, and again from 06:00AM on January 16 through 06:00AM January 18. Unite members are calling for a long term solution which addresses the pay differentials between Virgin cabin crew and the crews of its competitors. The staff believe that they have been undervalued for too long and Virgin are failing to recognise their professionalism and loyalty. Their pay lags behind many other airlines who fly the same business and holiday routes. Cabin crew staff working for British Airways can earn up to £10K more than Virgin cabin crew flying the same business routes. On holiday routes Virgin cabin crew can also earn considerably less than many of their competitors. Virgin Atlantic's Chairman, Richard Branson, told cabin crew in a widely publicized letter, "For some of you more pay than Virgin Atlantic can afford may be critical to your lifestyle, and if that is the case you should consider working elsewhere." UPDATE January 8, 2008: News media are reporting today that the strike has been called off. Yesterday was a special day for the Number One flight attendant at US Airways: Bette Nash celebrated 50 years of service. Ms. Nash began her flight attendant career on November 4, 1957. "Bette Nash is a walking, talking history of the evolution of our industry, and we are so fortunate to benefit from her experience each day," said Alin Boswell, fellow US Airways flight attendant and Washington, DC Local Council President for the Association of Flight Attendants-CWA (AFA-CWA). "Not only is she a great flight attendant and mentor, but she is a wonderful person who brings much joy to everyone she encounters." Ms. Nash began her career the same year Sputnik was launched, and when air travel was an expensive luxury full of amenities. As air travel evolved into what it is today, so has the role of flight attendant. Fifty years ago, flight attendants were forced out of their job after a few short years and the average career span was less than 18 months. In 1964, seven years after Ms. Nash began her career, the Civil Rights Act passed and with the strength and determine of AFA-CWA, for the first time flight attendants were able to challenge the discriminatory policies based on gender, age, race, weight, marital status, and pregnancy that had become commonplace in the airline industry. "Bette's accomplishment today is the fully realized goal that AFA-CWA set out to achieve over sixty years ago," said Patricia Friend, AFA-CWA International President. "When AFA-CWA began representing flight attendants in 1945, it was the goal of our founders to turn this 'job' into a full-blown career - a career that would provide for, and support flight attendants and their families. It is a humbling moment to reflect upon Bette Nash's accomplishment and realize how far we have come as a profession. AFA-CWA congratulates and thanks Bette for her years of devoted service. We look forward to celebrating many more milestones with her in the future."